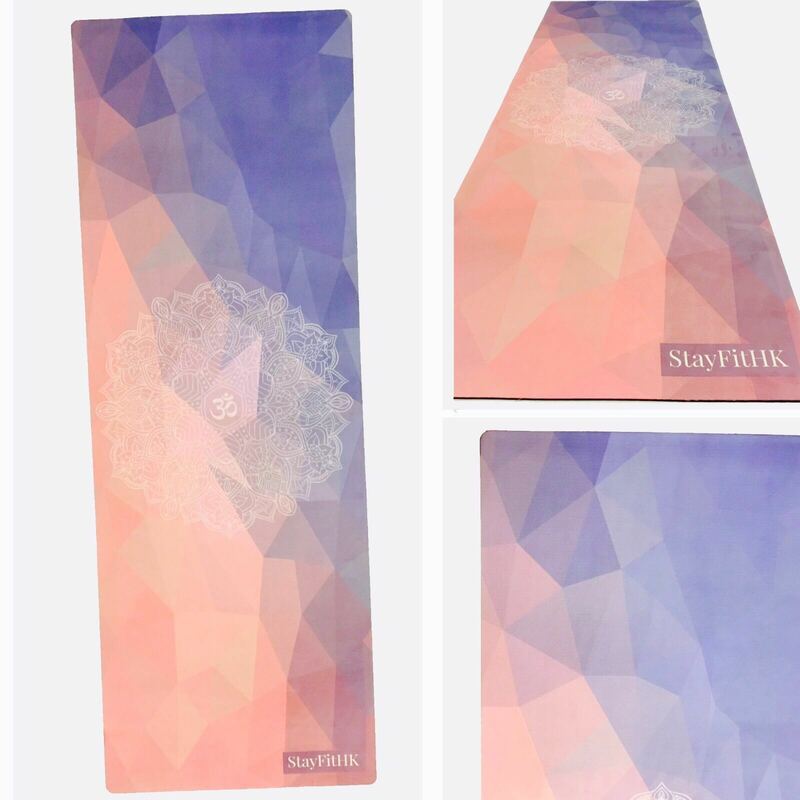 The StayFitHK Mat was designed with one goal in mind; to create a beautiful eco-friendly yoga mat which eliminates the need to bring both a towel and mat to class. The StayFitHK Serenity Yoga Mat is designed with the sole purpose of eliminating the need to bring both mat and towel to class. Infused with a luxurious & absorbent micro fiber layer on top which grips and prevents any chance of slipping when wet. FREE shipping for 4 pieces or more! Eco-Friendly -All StayFitHK Mats are eco-friendly, 100% recyclable, biodegradable, made with natural tree rubber and water based inks. Non Slip – The more you sweat the better the StayFitHK Mat grips. This prevents any chance of slipping when wet. No Odor -No more cheap toxic latex smell. The StayFitHK Mat is latex free! Thus eliminating any chance of odor. Multi Purpose – Due to StayFitHK Mats sweat absorbing material this mat is ideal for yoga, hot yoga, pilates, sweaty practices and fitness exercise. Towel Infused – One of the first of it’s kind the StayFitHK Mat is infused with a luxurious & absorbent suede microfiber on the top layer. Free Carrying Strap Included – All StayFitHK Mats come with a FREE durable carrying strap!